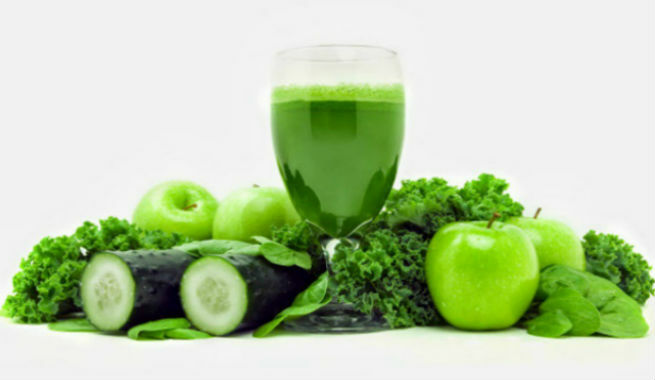 Green juices are widely known for their fat-burning capacities and if kale is used as one of their primary ingredients, the effects will surely be manifold. Being rich in dietary fibres, antioxidants, minerals, vitamins, and plant proteins, kale can purify our blood by working as a natural detox and help us shed off extra pounds too. Wash all the ingredients under running water. Shred kale leaves and spinach, chop up the green apple and peel the ginger-root. Put everything inside a juicer and juice up. Clean and wash all the ingredients, preferably under running water. Chop up the spinach, kale leaves and celery stalks. Also, make cubes of the green apples and squeeze out the juice of the lemon. Put everything in a juicer and prepare the juice. Wash and deseed the watermelon and cut it into dices. Wash kale and mint leaves properly and chop them up. Now, pour all these into a food processor. Add water and blend well. Sprinkle chia seed powder on the top of the juice and enjoy! Clean and wash all the ingredients. Shred kale, parsley and Swiss chard leaves one by one. Also, chop up the mint sprigs. Peel the pineapple and beet and make small cubes of them. Dice the green apples up. Then, put all the shredded and cubed veggies inside a juicer and juice them up. Clean all the vegetables under fresh tap water. Chop up spinach, kale, collard greens and Swiss chard leaves. Peel the cucumber and the ginger-root. Also, make small pieces of the cucumber. Now, put everything in a blender. Squeeze the juice of the lemon into it and blend well to prepare your juice. Start with cleaning and washing all the fruits and vegetables. Peel the cucumber and cut it into small chunks. Make dices of the Fuji apple. Extract the juice of the lemon. Shred the kale and the parsley leaves by taking them together. Now, pour everything into the juicer and juice up thoroughly. Make sure that you clean the veggies, fruits and sprouts thoroughly under running water. Cut the broccoli, green apple and pineapple into small chunks. Chop up kales leaves, parsley leaves and watercress nicely. Put all these ingredients including the alfalfa sprouts in a food processor and blend well. Before consuming, mix the wheatgrass powder with the juice. Like all other recipes, start with thorough cleaning of the ingredients. Shred the celery stalks, lettuce, kale, and parsley leaves respectively. Make small chunks of the pineapple and extract the juice of the lemon. Put everything inside a juicer along with the turmeric and ginger-root and juice up. Once the fruits and veggies are all cleaned properly, take the green apples and carrots and cut them into pieces that would fit your juicer. Also, chop up the kale leaves and celery stalks. Put everything inside the juicer one by one and make the juice in minutes. Wash everything nicely under running tap water and chop up one after another. 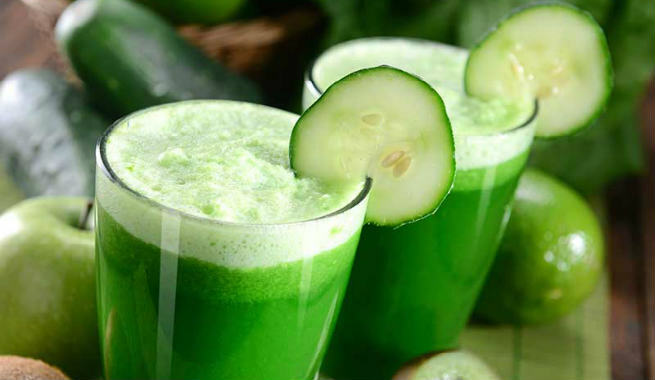 Fill your juicer with the ingredients, turn it on and prepare your fat-melting juice. Pour ice cubed over it and enjoy! 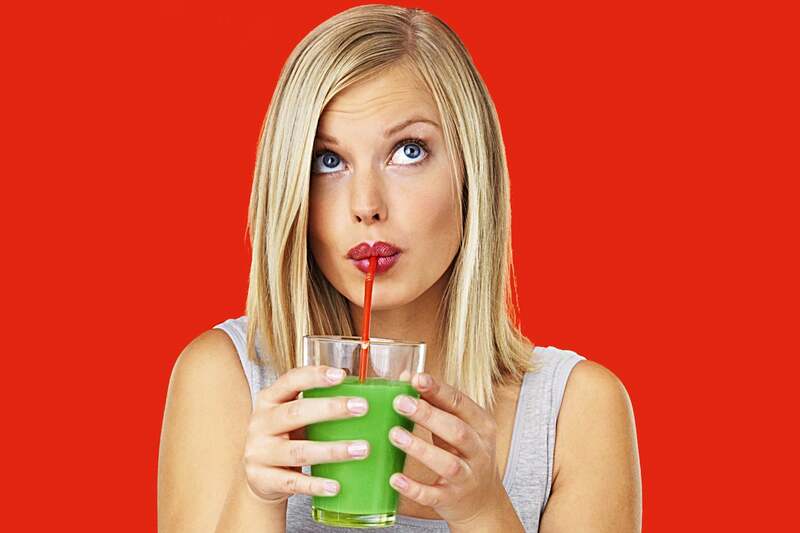 In the end, it should be remembered that kale juice is not a miracle weight loss drink by any means. 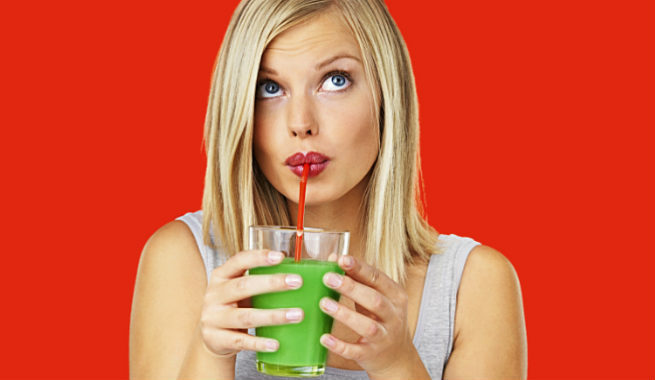 You have to follow the right diet and workout regularly in order to make the most of these juice recipes.